Posted by Steve Morgret on December 3rd, 2012 22:45pm in Rainbow Vacuum Cleaners. Last Updated on January 19th, 2018 08:53am. Spring cleaning is synonymous with a deep cleaning of the entire home, which is something that many people look forward too. It often means a fresh start, and the removal of clutter and buildup that accumulated during the year. Anyone wanting a clean home doesn’t have to wait until spring – a deep cleaning can be done at any point of the year. All it takes is a few hours, and the right equipment, and anyone can have a clean home. In order to get started, a few basic things are necessary. 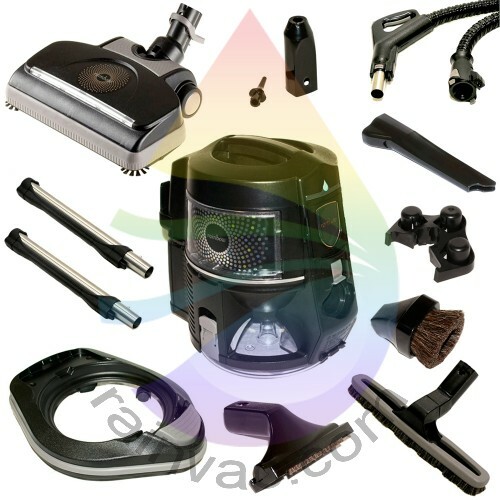 For most, this means a selection of cleaning products for windows, furniture polish, and a good sweeper, like the Rainbow E2 vacuum, which can also shampoo the carpets. After gathering the equipment and supplies, the next step is to pick up all clutter and trash from the home. This includes piles of laundry that have not yet been washed, or even scattered toys and shoes from family rooms. Once this clutter is under control, surfaces can be dusted and polished, which is an important part of deep cleaning the home. This is often a good time to use a wood oil or other reconditioning polish to deep treat tables and chairs. While the laundry is going and the wood treatment is soaking in, the next step is to start on the floors. The easiest way to do this is to start in one corner of the house and work outward as the carpets will need a little time to dry. When preparing to shampoo the carpets, the right products should be used, such as a carpet foamer. These products will both help lift heavy stains and leave behind a fresh scent. Depending on how long it’s been since the carpets were shampooed, it may take several passes over the floors to get them clean. Because of this, some may find that they end up refilling the water basin several times in each room. Such high amounts of dirt are often encountered in family rooms and areas where pets are kept as the dander and dirt tends to pile up in the carpet and along the walls. Rugs should also be cleaned while shampooing the carpets. Before using the sweeper on rugs it is important to do a test patch first to make sure that the material will not be damaged. If the rug is very delicate, it may be a better idea to use just water in the basin instead of a cleaning solution as this can reduce the chances of discoloration or damage. One final step to deep cleaning the home is to check every last nook and cranny for dust and dirt. A crevice tool is the best tool for this job as it can reach many of these areas without having to stoop and bend too far. If it is possible, the vents should be cleaned out as well. The best way to do this is to use a crevice tool to clean the grate or mesh of the vent. If there are any filters, they should also be changed out for fresh ones. The crevices around sofas and computers should also be cleaned using the Rainbow E2 vacuum and the appropriate attachment. This is often the last step in spring cleaning the home at any point during the year.